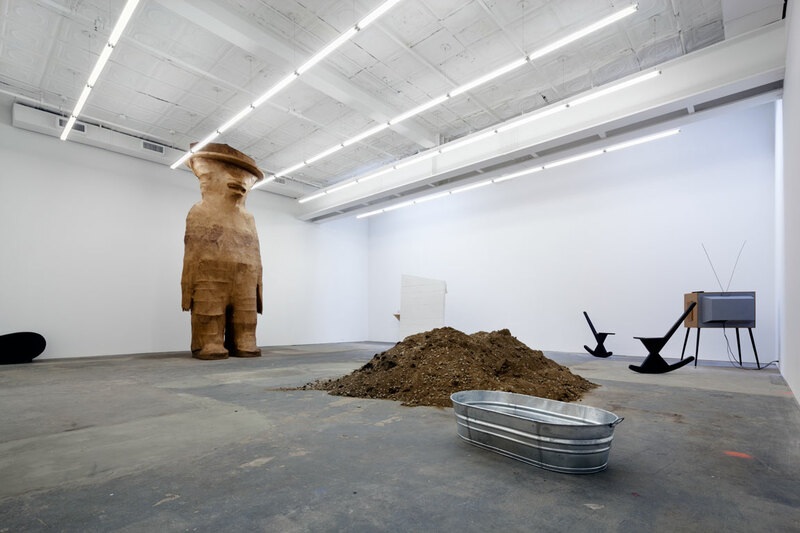 new expanded premises for lower east side art gallery. 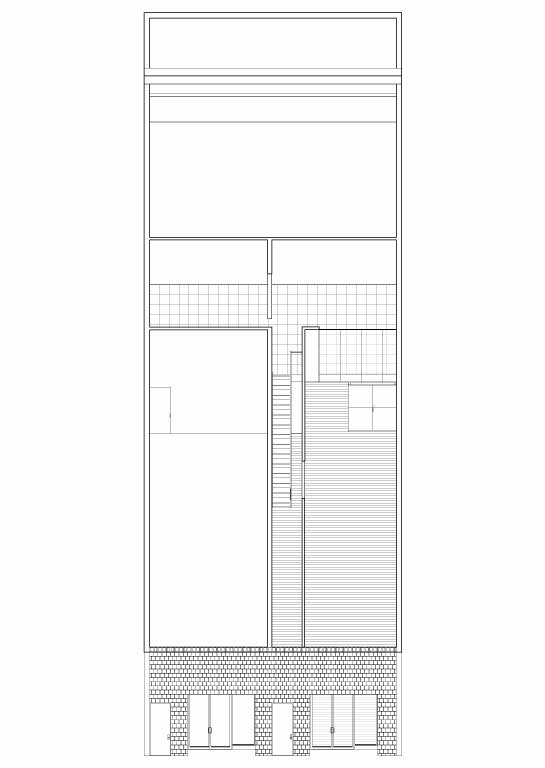 1 – axonometric view of sequence of spaces from street to rear gallery. 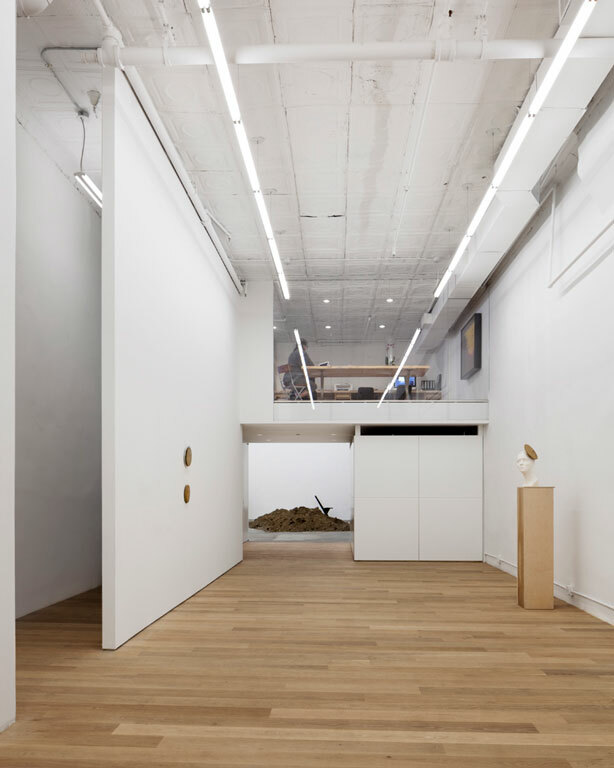 an old two storefront print shop on broome street was converted into new gallery spaces for canada. 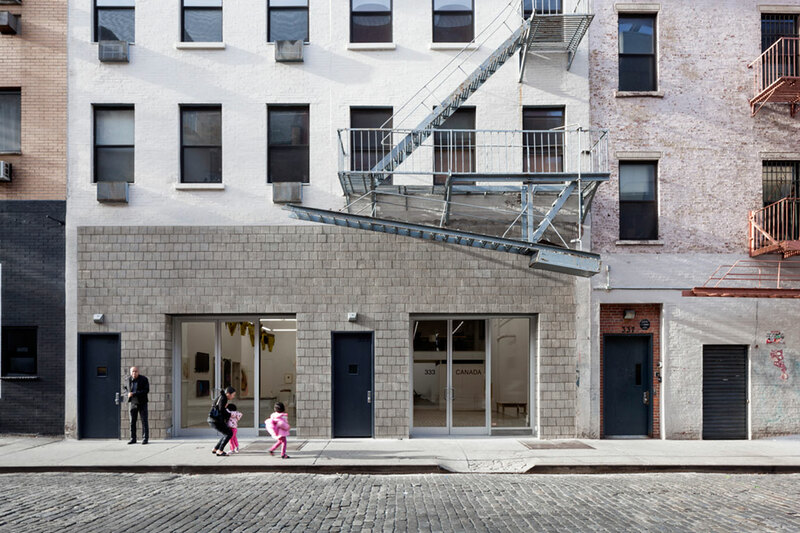 to make the property viable three structural columns were replaced by a pair of deep steel beams to provide an uninterrupted rear gallery. 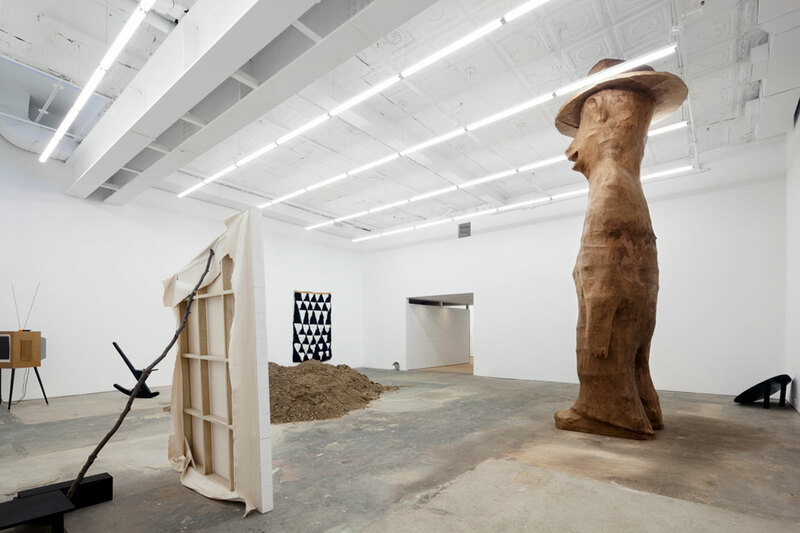 the front zone became the entrance space for canada and an adjacent rental space for another gallery. connecting the two properties is a shared service zone with bathrooms and kitchen. in reference to the previous premises the activities of the office are exposed on the mezzanine behind a full height glass partition. 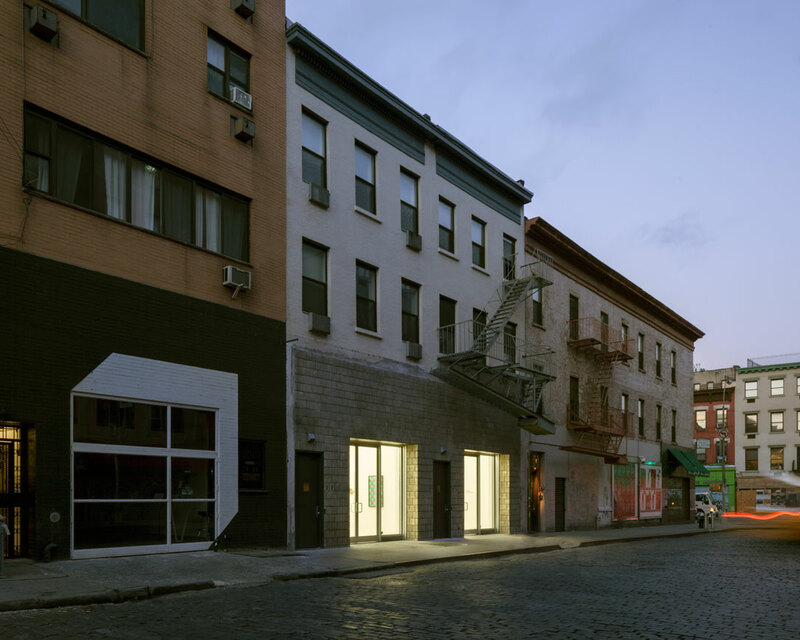 the street presence is defined by a new deep concrete block facade.